Whether we choose to work with saints, ancestors or symbolic patterns - the ability to use thresholds in magic, to approach, unlock, traverse and return from them is a key skill for any initiate to perfect. The topic is particular relevant to my own practice, as recently a lot of it focussed on deciphering how such work can be done with the help of (magical) saints. In these cases the actual threshold can be a story, a prayer, a spell, or as in the most classical form of all for saints - an icon of the former person themselves. The term 'threshold' in this context has very little metaphor to it and a lot of magical practice instead: We literally learn to move our spiritual bodies over these doorsteps, through these windows or keyholes - and explore the realms beyond in vision. To my knowledge, the most essential practical guide to mastering this core skill is offered in the Quareia curriculum: Stripped free of man-made patterns or religious symbolism it sets the practitioner free to use their senses, their entire magical body in fact, as a tool for spiritual communication, exploration or exaltation. And yes, that is what shamanism kind of always has been about. Just recently in 2017 FULGUR added a set of 10 outstanding doorways to the already existing body of magical expedition maps. Their breathtaking book 'Decad of Intelligence' is a beast so rare and precious, it actually is not a book at all. It is the kind of object you will not want to place on a shelf, but rather allow it to breathe in your temple. At its heart, it is a set of 10 powerful doorways, bound in silver silk-cloth, that only loosely hinge in their locks - and upon the slightest magical touch will open into another realm. - I guess it's obvious: I am truly blown away by the beauty and power of the tools they have placed in our hands. 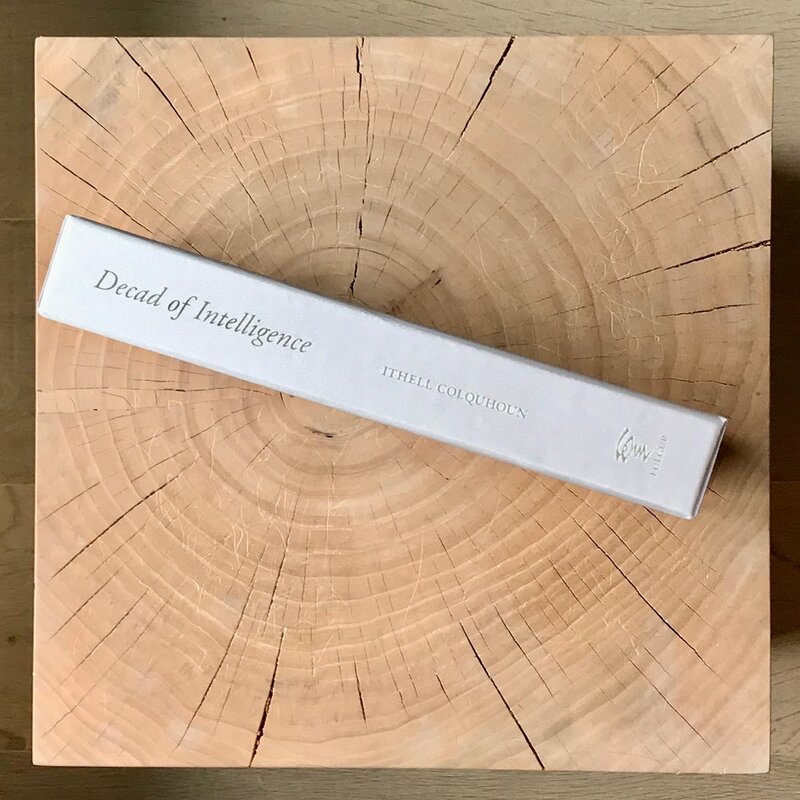 'Decad of Intelligence' essentially is a short introduction to the British artist Ithell Colquhoun (1906-1988) who created this body of art and practice in the late 1970s, it is also a set of 10 poetic-ritual texts and most importantly it consists 10 unique enamel prints, now printed on thick cardboard, each one presenting Colquhoun's own doorways into the power of the ten Sephiroth. "Building on Colquhoun’s work with the kabbalah, the Decad of Intelligence was developed during the 1970s and is based on the list of sephirotic intelligences as set out in the Sepher Yetzirah. The work was designed to be a small book of ten enamel pieces, each depicting a different sephira, accompanied by a description of their properties. Colquhoun intended this work to be used as a guide to contemplation for understanding the deep nature of each of the sephiroth, both in isolation and in completeness. It is offered here as a book of texts and individual cards with this aim in mind. The cards have been produced with gold and silver highlights to better capture the nuance of the original works. The minimal design of the book echoes the sparse yet rich language of the contemplative texts." Colquhoun's 10 enamel pieces emerge from the background of the tradition of the Hermetic Order of the Golden Dawn as they heavily lean on the order's colour theory. 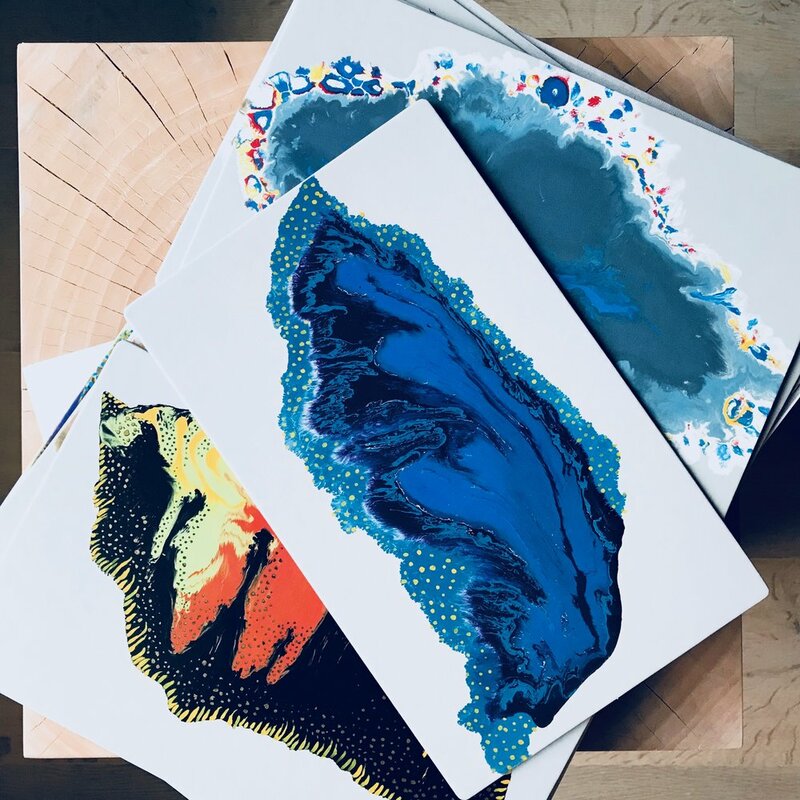 As Dr.Amy Hale points out in her concise introduction, the very intentional use of colour was meant to supersede the need for narrative imagery - and enable a contemplative experience of the ten creative forces first described in the Sepher Yetzirah. By avoiding any symbolic narrative structure and instead fully utilising the experience of color, Colquhoun intended to enable the viewer a vision guided by the 'invocatory purpose' expressed in each of the 10 images. What Dr.Hale didn't mention though is that such attempt has its own magical roots in the West beyond the confines of the Golden Dawn. In particular the 1901 book 'Thought-Forms' by the prominent Theosophists Annie Besant and C.W. Leadbeater has to be mentioned. Not only did Besant and Leadbeater delve deep into the magical use and meaning of colours, they also attempted to map a core set of human emotions to colour-based thought-forms and then build an entire framework around it. What sets Colquhoun's approach and its published body in 'Decad of Intelligence' very much apart from the colour-theory based frameworks in the official Golden Dawn and Theosophical teachings is precisely its very intimate and explorative nature. Here we get a glimpse into the workshop of a powerful female magician experimenting in the latter years of her life (1977-1978) with an explosive mix of organic form, pure colours and sparse ritual sounds. To me there is nothing more exciting than witnessing original magical art such as this coming (back) into life. I'd encourage all of us to experiment with the powerful images provided in the 'Decad of Intelligence'. They are meant to be put into practice, not hung on a wall. If, in the end, behind these beautiful 10 doorways we get to discover entire sephirotic realms, or rather the personal emotional landscapes of one of the most fascinating occult artists of our recent time, that is to be judged by each one of our own explorations. How in the world FULGUR managed to produce such breathtaking design, printing- and binding-perfection for such a highly affordable price will remain their very own magical secret. The images above do not do their work justice at all - but hopefully give you a rough idea of the power of this fine publication. I intentionally didn't share more photos of the actual enamels in full or in higher quality to respect the copyright. There is just no way around experiencing them yourself. Thank you, FULGUR and Robert Ansell for putting such exciting magical work back into the world - and into the stained hands of so many magicians around the globe. It will remain in mine for a long time to come.